Like all the other reviews say, please stop spamming your name. I didnât know I signed up for the Tritonal Talkshow. Otherwise, your music is top notch. Saw them at marquee in Vegas about 2 years ago and became a fan!!! Love this podcast! Great work guys! Love the work Tritonal does with this. Can turn it in while doing work, having a party, really it's the best. Keep up the good work! Pardon me while I delete Above & Beyond and Tiesto Clublife!! I've been listening to Tritonia for a little over a year now, and it's hands down beaten the other music podcasts out there. And there are plenty of them, too many to name. 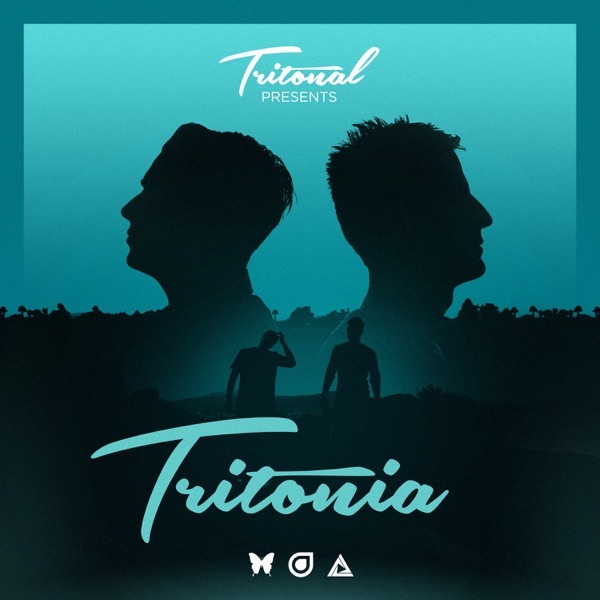 Tritonal (along with Cash Cash) are my favorite music producers. When I heard they were making "Untouchable" together, I was so excited. Keep up the great work, guys! Love your stuff! Hey there-- just wanted to say that a) there are too many name drops, and b) you guys should pair with Monstercat someday. If you love Trance you ARE a Tritonian. The best in Trance anthems freshly served. Subscribe and unite! Tritona is awesome, really great music and artists. I'm always listening to it when I get the chance. Tritona is where I get some songs for a mix I'm making and stuff.But for the people that say they can handle them saying " we now have landed.....on tritona " and " a land not discovered by humans but by tritonians " is pretty sad if it's that bad then don't listen to it if fact you might as when not listen to and music that does that. It's apart of it, and I don't see how you can get annoyed by it because I smile every time I heart it. Awesome tritona!!!!!!! I love it!!!!!!!!!!! Quickly beat out Above and Beyond and Club Life with TÃ¯esto to become my favorite EDM podcast. Thank you and keep going! All you people who aren't Tritonians just leave and listen to hardwell. Chad and Dave are so talented and all you guys can say is stop with this and that...did you even pay anything for this podcast haha no so go ahead and give 5 stars. We could easily have to pay to listen to these amazing DJ's/Producers but they do this out of the goodness of their heart. These podcasts are not a requirement for them. Let's show a little bit more gratitude and a lot less negativity. We are not entitled to these podcasts, lets not forget that they are FREE!! Keep up the great work Chad and Dave you guys are awesome! I listen pretty much exclusively to what Chad and Dave feed me every week. They have amazing music, and as much as announcements of "Tritonal" can jar me away from the music, just being able to hear such a great collection of the latest hot EDM makes it completely worth it for me. My only wish now is to see them live, Chad and Dave! Please come to Hawaii!!! err=9006, why.....and Tritonia 050Live 1.0kb??? I don't know why???? err=9006 when I downloaded TritoniaTritonia 050Live 1.0kb????? Up and coming gods of trance! Seamless transitions constantly. Can't wait to see them on tour! The bits you guys add in about Tritonians is what makes me feel lost in your podcasts. Sure some people think it's annoying, but I love how I can escape my stressful life for an hour with such cheesy bits. Please keep it us, and I'm soooooo happy to finally get Tritonia 038. Been waiting for a while, but well worth it. Love your work and keep making music we can get lost in ð. Keep it up guys! I don't mind when you tell me who's playing and coming down the rabbit hole is an awesome intro! Keep true to yourself and don't listen to these haters! I tried searching Tritonia on Facebook and couldn't find you, what's up with that?! I want to share you with my friends! Love the beats and the variety! farty basslines and voice overs every 2 minutes. These guys are great. Friend Lori introduced me to them. Had a chance to meet them in South Beach, and the darn rain flooded the entire streets. Couldn't make the drive down from Sunny Isles Beach, but I enjoy every pod cast they provide. Thank you guys!! Ok, love, love, love the music, but I CANNOT listen to it with so many Tritonia plugs. WE KNOW WHO WE ARE LISTENING TO !!! Thank you guys! Hope that this podcast stay here on iTunes for a while. Other good podcast had gone and now there a not to many to choose from. Wish you good luck and success in your your lives. Love what you are doing guys keep it up! WAY too many name drops. It is incredibly distracting to listen to, and it's hard to enjoy a song when every 30 seconds comes with "Tritonians, you are listening to Tritonia with Tritonal, only in the land of Tritonia!!" Chad and Dave are talented producers, and I really enjoyed Air Up There. But since the recent renaming/rebranding of the podcast to "Tritonia," the listener shoutouts and electronic voiceovers are much too frequent and distracting. Every 60-90s is some comment about falling into the rabbit hole or a land inhabited by Tritonians. Again, the music is good, and I understand Tritonal's motivation in renaming the radio show, but I'll be unsubscribing from this podcast. It's an OK show, but uh.. could you guys play some more drops please? Sometimes I forget what I'm listening to when it's been an entire 25 seconds since the last drop. I enjoy the music and when you guys talk about you upcoming shows, but I am not watching a movie trailer with dialogue so stop with the tritonia plugs every thirty seconds. PLEASE!!!! Absolutely LOVE the music and this podcast in general, but I feel like I heard a plug for Tritonia every 30 seconds :)Otherwise, it would be 5 stars EASY. Tritonal has been impressive with their podcast and I hope to someday see them live. Continue the great beats! These guys life and breath music. This podcast, artist albums and live performances make it clear they are among the elite. One of The Best podcasts out there. High energy tracks mixed with precision, they are great melodically. They are even better Live!! I'm so happy my buddy told me about Tritonal. Thank you for this fantastic free podcast. Daily at work i listen to Air Up There. Every episode I've listened to is nothing but epic. I went and bought your album as a show of support + thanks for providing all this great music for free.Please continue this Podcast. It has enriched my life. You guys mix so well, after hearing your A&B guest mix I was love struck. I can't wait to start listening to more of your mixes! Probably the best trance music in the world and the best part is its FREE...great job guys and keep it up. Some of the best stuff in the trance scene to date!!!! Air up there recordings. Congrats!!! Keep up the good stuff! i love your music!trance for the win! !